By using simulation platforms (eg. ProtestLab) we may reproduce street protests with some degree of complexity. However, the question about how to validate the empirical agent-based model is still pertinent on account the availability of good validation data (interviews, surveys, video films) is advisable. Along my talk, I shall try to discuss what is relevant to include in spatially-realistic models, in order to calibrate the agents&apos; behaviors (emotional and social attributes). A good direction is to reframe the purpose of the experimental empirical research to gain more insight into the kind of laboratory inquest (variables, recourse to 3D, and use of time). 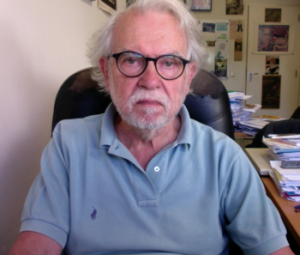 Emeritus professor University of Lisbon and Faculty of Sciences. EurAI/ECCAI Fellow. Member of the Portuguese Engineering Academy. Coordinator of the Advisory Council of the Mind-Brain College of ULisbon (PhD Courses of Complexity Science and Cognitive Science). Discrete-event simulation has become a successful computer science/industrial engineering method in semiconductor companies and in academic research for the semiconductor industry. In this presentation, we will discuss discrete-event simulation applications in the semiconductor domain. We propose a taxonomy of simulation applications that is based on the relevant building blocks of the overall supply chain starting from a single machine to the end-to-end supply chain including customers. The applications for each building block are discussed taking into account whether they support planning or control decisions or they serve to represent the base system level. We report several actual real-world applications of discrete-event simulation in the semiconductor industry. Future research directions and potential novel application areas of discrete-event simulation in the semiconductor industry are discussed. 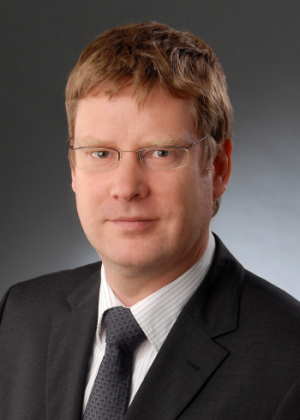 Lars Mönch received the master&apos;s and Ph.D. degrees in applied mathematics from the University of Göttingen, Germany, and the Habilitation degree in information systems from the Technical University of Ilmenau. He is a Full Professor with the Department of Mathematics and Computer Science, University of Hagen, Germany. His current research and teaching interests are in production planning and control of semiconductor wafer fabrication facilities, applied optimization and artificial intelligence applications in manufacturing, logistics, and service operations. 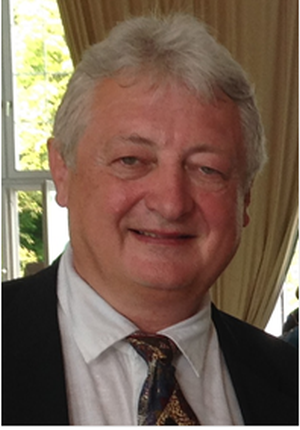 He has authored over 75 refereed journal papers and book chapters, two monographs, and one edited book. He serves as an Associate Editor for the IEEE Transactions on Semiconductor Manufacturing, the IEEE Transactions on Automation Science and Engineering, the European Journal of Industrial Engineering, Business & Information Systems Engineering, and the Journal of Simulation. The Evolution of artificial intelligence towards autonomous systems with personality-simulating devices, artificial emotions and languages will increasingly interact with human users and users becoming partners in their everyday lives. The presentation will examine the consequences of these interactions both at the individual level and on the place that these autonomous systems will take in society. In February 2017, the European Parliament approved a report presented by an European deputy. This report analyses the legal consequences of the growing presence of robots in European daily life. A key measure proposed in the text is to give legal personality to robots. According to industry partners and stakeholders, this evolution of the law is made necessary by the precautionary principle and by the challenges of competitive and growth advantages. Are these systems useful to humans and acceptable to them ? The presentation presents the main technological advances and feasibility of an artificial and emotional personality for robots, the ethical aspects of robots' interactions with humans, in particular the medico-legal notion of responsibility to individuals and the societal consequences of robotic deployment in society. Joël Colloc is professor in computer sciences with tenure at Le Havre University, Normandy University and he is physician and specialist in forensic medicine. He is currently responsible of the team Healthcare, Risks and Route of life of the laboratory UMR CNRS IDEES 6266. Doctor Colloc was previously associate professor in the Jean Moulin Lyon 3 University (1991-2003). Before 1990, he was assistant professor in the laboratory of medical computer science of the Hospices Civils de Lyon and physician at the Edouard Herriot Hospital (1988-1990). Joel Colloc holds a Ph.D. (1990) in computer sciences by the National Institute of Applied Sciences (INSA) of Lyon and a M.D. (1985) by the medical faculty of the Claude Bernard University of Lyon and specialty degree of forensic medicine. His main research topics concerns e-health, artificial intelligence in medicine, fuzzy logic, multi-agent clinical decision support systems and knowledge bases, Case Base Reasoning in medicine, ontologies, nervous system modelling and cognitive science. His human sciences researches try to conciliate the ethics of using Big Data in epidemiological studies and using AI to improve clinical decision in medicine while preserving the patient-caregiver relationship and the privacy of patients.